Ramakrishnan Muthukrishnan - The best xkcd ever! 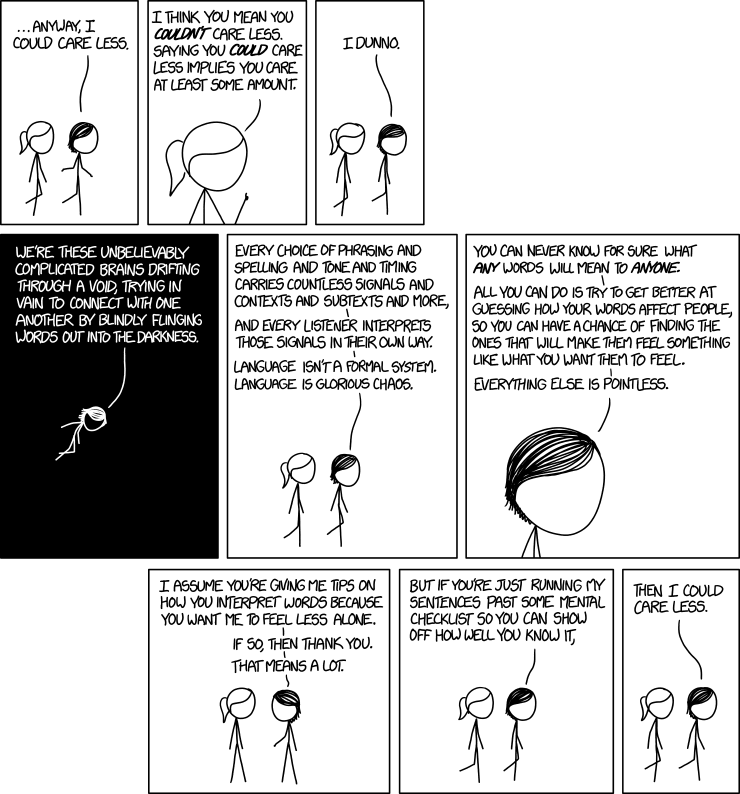 I chanced upon this xkcd comic today. The comic rings a bell in my head as it very closely matches with my own daily experiences talking to people and the problems I have gotten into, to the point where it could disrupt my daily life. I have gotten into pretty nasty family situations because of “wrong” usage of words. What’s more! I have gotten into problems because others used “wrong” phrases. Emphasis on “wrong” because I think wrong is not the right word here. I can’t find a better word now.